What to Expect with a Termite Inspection | Absolute Pest Control, Inc.
Termites are sneaky little creatures. These pests will invite themselves into your home and make a feast with your walls and furniture. The tiny pests can do a great amount of damage to your house. If ignored for a long time, these silent destroyers will eat away the foundation of your house leaving you in a rather unsafe environment. On the bright side, science has allowed us to come up with ingenious ways to protect our abodes and get rid of these pesky little insects. Before we can get rid of termites, we need to be sure of their existence. It is not easy to detect them on your own, and you need a professional’s eye, expertise, and experience. A lot of times people mistake termites for ants since both these insects look pretty much the same to the layman. It is not easy to detect them on your own, and you need a professional’s eye, expertise, and experience. People usually get an inspection done when they are about to buy a new home to avoid buying an infested house. Some people think that termite inspectors will break open their walls to look for the parasites. But that is not true. The inspectors usually begin by looking at the foundation of your house and then move in to inspect every corner of the property. They would look for telltale signs of termites that the examiners have learned through their training and experience. These days with the advancements in technology we can see through the walls without really doing anything to them. If the situation requires it, your inspector may employ some gadgets that detect thermal energy. These allow them to spot termite activity inside the walls. There are certain things that you can do to make the process smooth. Remove objects from their way so that the examination can go on. 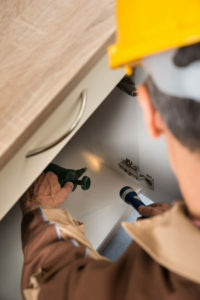 The termite inspectors usually look around the garage, attic, sinks and underneath the walls, so make sure there is space for them to go and take a look. Our inspectors take a closer look at the crawl spaces and search for telltale signs like termite feces and dead termites or discarded wings. The examiners will also try to find signs of damage to the wood that may have been hollowed out. They will try to find mud tubes, which are quite common near termite nests and of course live termites. Inspectors will pay special attention to potential access points. These are spaces through which termites travel around and include the expansion joints in your garage or cracks in the foundation. Since termites like moisture, they travel towards places with leaks and the inspectors will pay special attention to these areas. The inspectors will also check your yard and patio just to be sure. The examiners may take pictures of a few areas for their report and send it to you soon after. If signs of an infestation are present, the inspectors will let you know about the measures that you can take to get rid of these pests. Otherwise, you will get to know about a set of preventative measures.